Cotton candy is a treat generally reserved for carnivals, fairs, and other events that don't come around often enough. 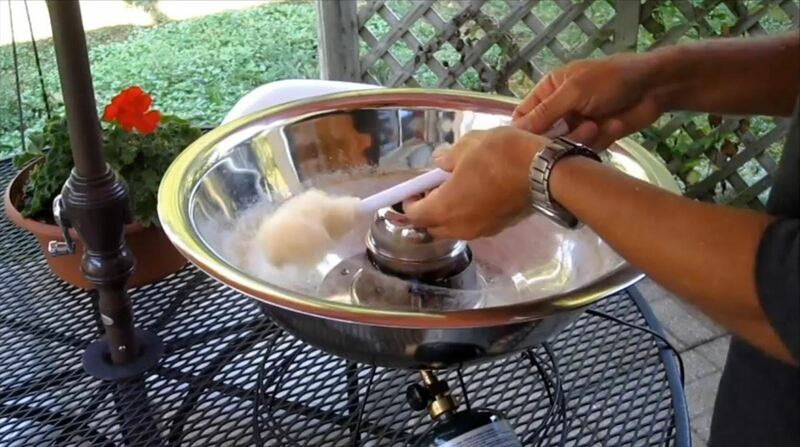 Through some clever construction and about $45 in materials though, you can have all the sugary substance you could ever want with this awesome DIY cotton candy machine. All you'll need to construct your own are two dollar store stainless steel bowls, a fan motor, a few odd screws and bolts, a drill, and a propane torch. Check out the tutorial video below. As an added bonus, he also shows you how he dressed things up a bit to turn it into a pretty professional looking setup. Now, who's going to build their own?